This website features the use of the content management system Joomla, and also features a very robust video player built into the website. This allows you to share your own video content directly, with using other video hosting options on the web. This gives you more flexibility on the type of vide content you can share with others. 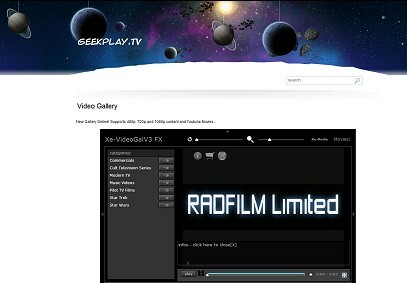 The Geekplay.tv site also features a main blog page, contact information and other cool features. Take a look and see another type of site that was created by Radvisions.